Speeds even remotely close to 200 mph used to be reserved for real supercars. Not long ago, if you talked about such high velocities, one would immediately think about incredible aerodynamics, a carbon fiber chassis and huge engines with redlines over 8,000 RPM. Today, that’s not the case anymore, as a mid-size sedan with two turbochargers like the BMW F90 M5 is about to show you in the video below. 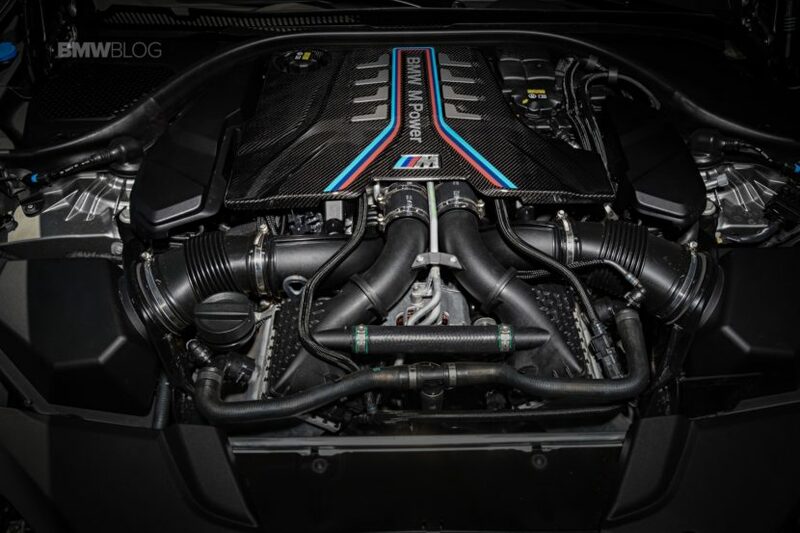 The new M5 comes with a heavily revised version of the not-so-loved S63 engine. Considering the new 4.4-liter twin-turbo V8 comes to fill the shoes left void by the departure of the E60 M5 and its marvelous V10 engine, that’s not a surprise. However, the new version comes with more power and torque than ever, rated at 600 HP and some 553 lb-ft of torque. That is enough to keep this beast of a car that’s nearly 2 tons in weight going up to 313 km/h (194 mph). I know, it’s still far off from the 200 mph I mentioned earlier, but then again look at the speedometer and the rev counter. The car is clearly limited to that speed and BMW even admits it. With the M Driver’s Pack, the M5 has its speed limiter raised from the usual 250 km/h (155 mph) to 305 km/h (189 mph) which is what a Vbox would’ve shown here due to the speedometer error. However, the rev counter shows just a bit over 6,000 RPM and the car is only in the seventh gear. I’d like to remind you that the new M5 comes with an 8-speed ZF gearbox unlike its predecessor, the F10 M5 which used a DCT gearbox with 7 gears. That means that the M5 would be considerably faster if it was completely unrestricted and running on some proper tires to withstand the speed and weight combo. Chances are we’ll get to see exactly how fast the F90 M5 can go once tuners get a proper hold of it and remove the speed limiter. Next post Bayern Munich: Audi and BMW continue in the sponsor duel?